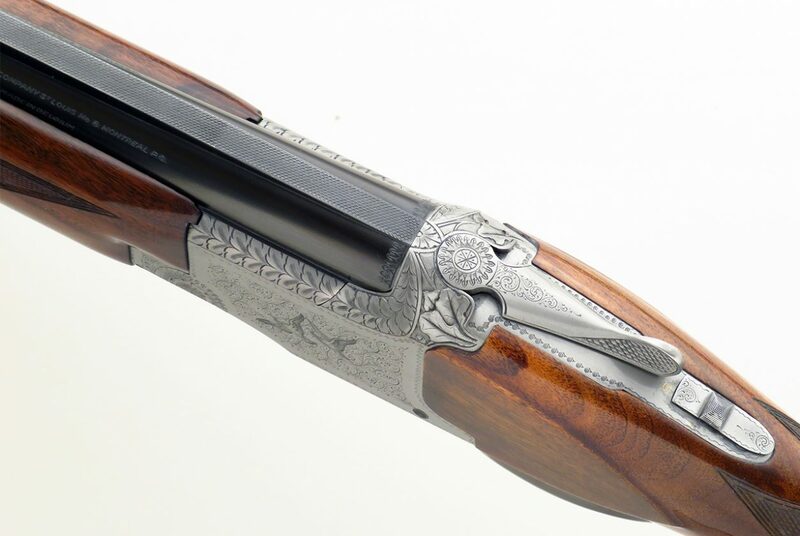 Browning Superposed Pigeon Grade 12 gauge, two sets barrels, fantastic wood, 1964, cased, 98 percent - Sportsman's Legacy, Fine firearms, related books and sporting collectibles. Representing estates, collectors and nonprofit conservation organizations. 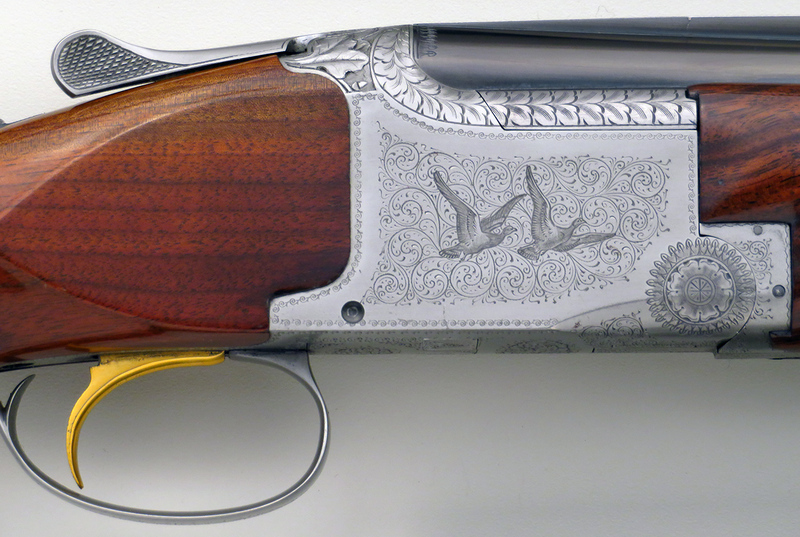 Browning Superposed Pigeon Grade 12 gauge with two original sets of barrels. Made in 1964, serial number 18828S4 features a silver/gray receiver, two original and numbered barrel sets (26.5 inches choked IC/M and 28 inches choked M/F) with 2.75-inch chambers. 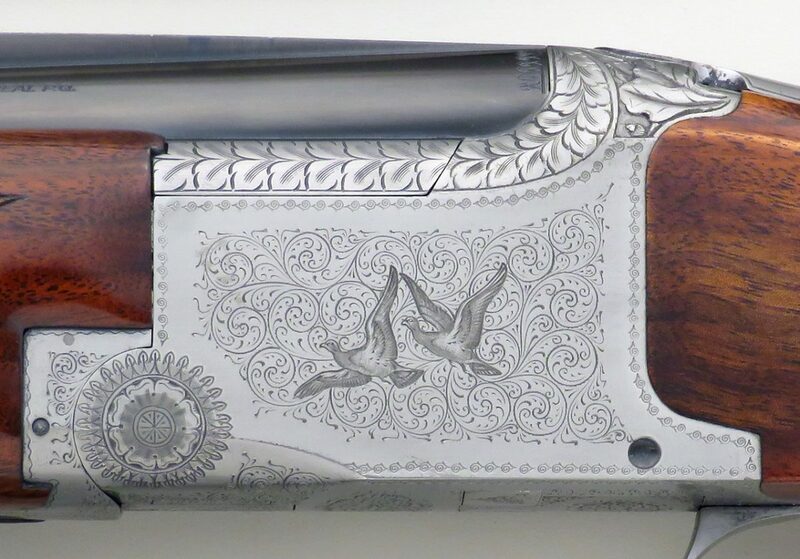 ENGRAVING: The receiver features a pair of flying pigeons on either side and a pair of bouquets on the bottom, each surrounded by an oak leaf and scroll pattern that continues along the tangs, guard and forend furniture. This work is unsigned. DIMENSIONS: Length of pull is 14.25 inches. Weight is 7.8 pounds with the longer barrels. Drops are 1.5 and 2.5 inches and cast (off) is slight at approximately .20-inch. Double-bead matted rib is .310 wide. CONDITION: Little fired, it remains on face with lever closing well to the right. Bores are bright and shiny. 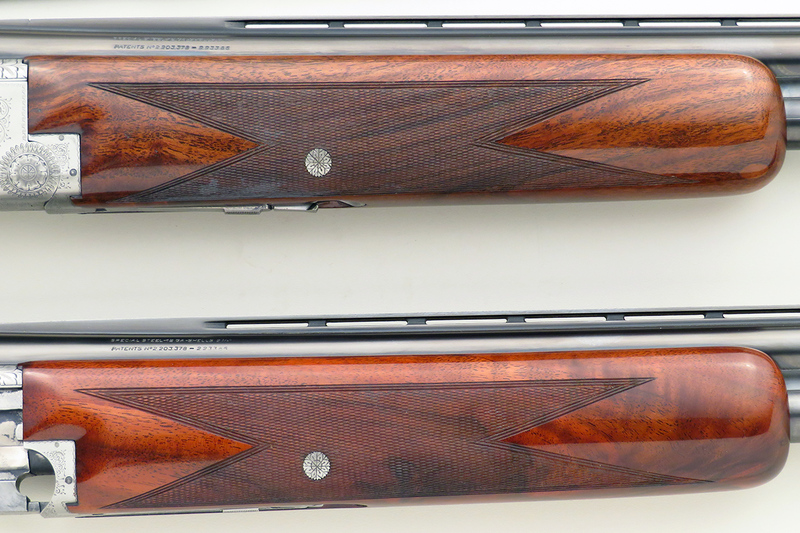 Both sets of barrels retain 99% of their rust blue and show only slight forend track wear. Receiver finish is pristine. 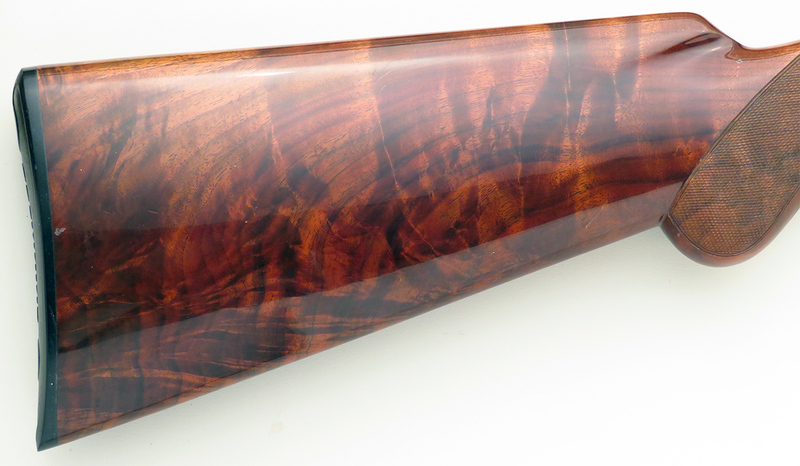 Wood integrity is 100% and finish rates at least 98 due to minor evidence of handling (impressions) and small area of varnish lift on right side of grip along the top of the checkering. 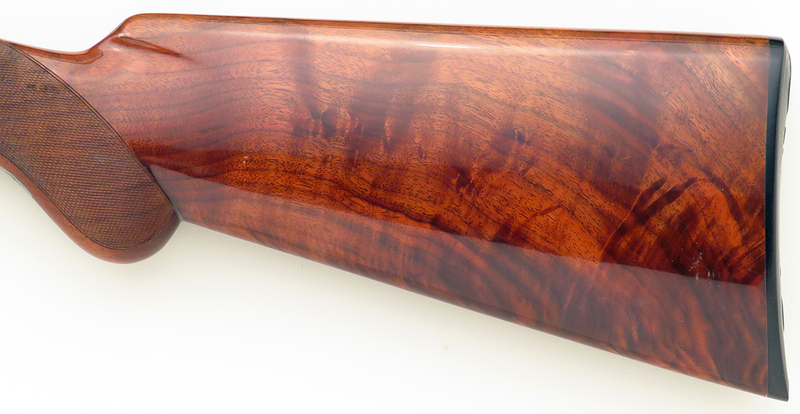 CASE: Browning two-barrel case is at least 90% inside and out. Nameplate (H.R. Hull) is located just under carry handle. INCLUSIONS: Manual and key for case.